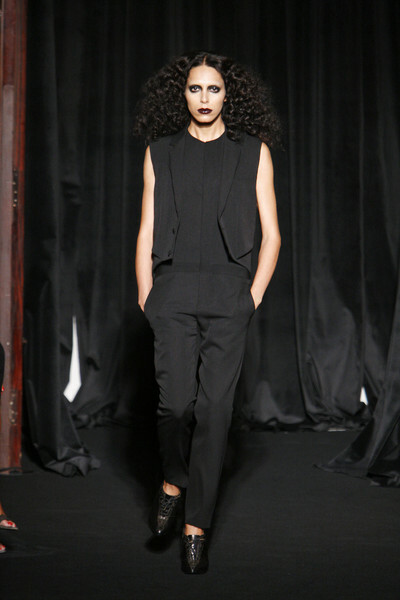 This week Givenchy announced that the fashion house will no longer present it’s couture collection on the runway. Instead the couture collections will be showed to a selected audience somewhere in Paris. Luckily this doesn’t mean the end of the ready to wear shows, so today we could still enjoy Riccardo Tisci’s designs on the runway in Paris. 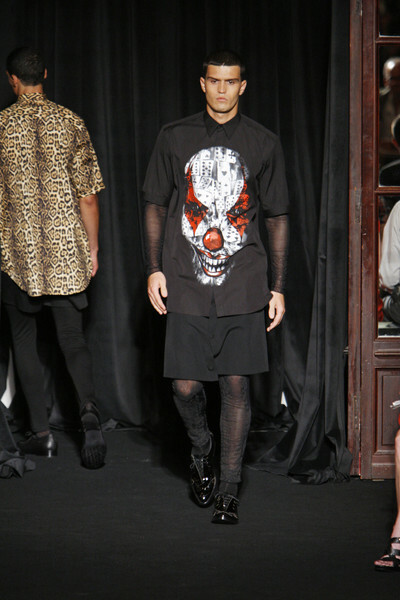 Tisci chose Victorian Circus as the theme for his menswear collection. 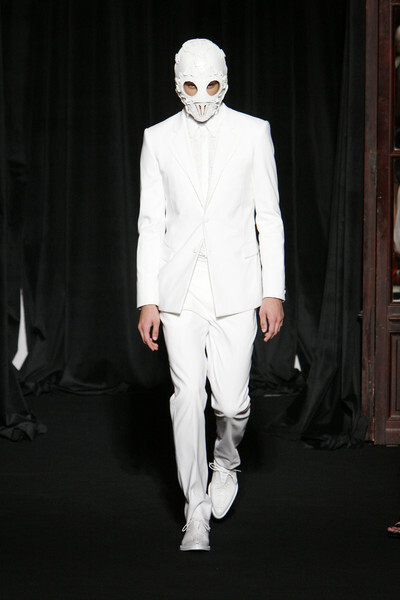 And apparently that meant black & white fashion (with shiny prints in the same color), animal prints and leather masks. The models had short hair or had their hair combed back. They walked the runway with their hands in their pockets. In between all the male models there were three women. They wore heavy make-up, were dressed in leopard prints and looked kinda creepy. 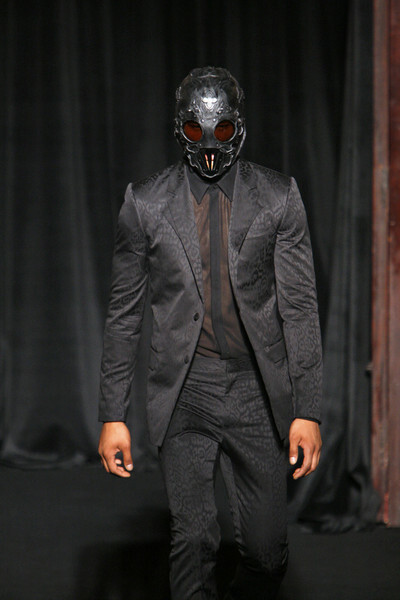 Four of the male models wore a mask that covered everything but their eyes. 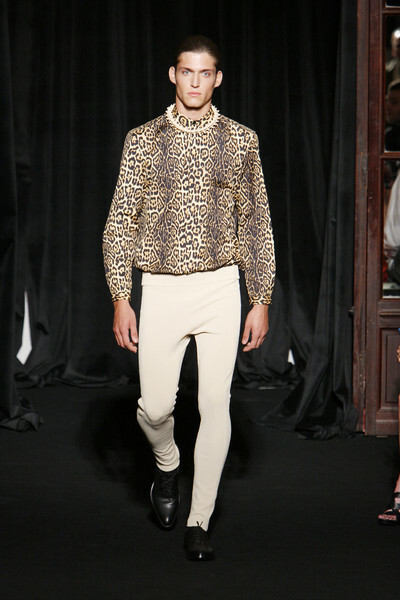 Of course with this Tisci proved he has some guts, but it didn’t make a lot of sense. And it surely didn’t make his clothes look better. Cause apart from some print-less jackets the collection was not really a success. Most clothes looked over the top; lace sweaters, transparent blouses, leather pants, spinal-cord necklaces and a T-shirt with a joker face as a print. And the overkill of leopard prints..we just didn’t get it. 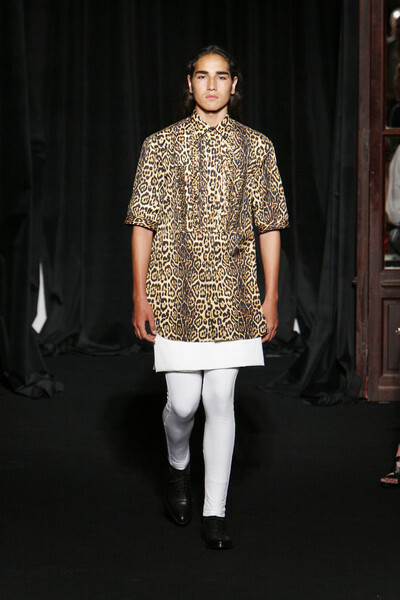 Haven’t we seen enough of the leopard prints already? And seriously..what guy is going to wear a leopard printed skirt? The name ‘circus’ was right for this hard-core collection, yet Tisci must realise his clothes eventually will have to sell too. 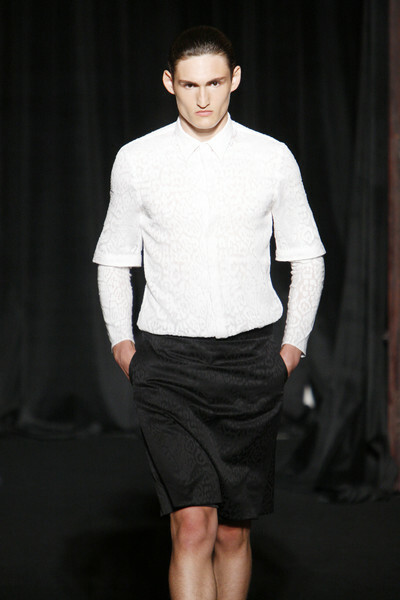 Otherwise the menswear shows might soon come to an end too…. him. Pretty sure he wll have a good read. Many thanks for sharing!